In many science fiction Horror films hell is depicted as a place of chaos where there is no certainty and people mutilate themselves and harm others. Today’s world brings us to an age of technology that makes it possible for a relatively small group of people to annihilate the entire human race by simply ordering a toxin online capable of poisoning millions. Perhaps a more subtle but even more lethal threat to humanity is coming in the form of ideas designed to target human feelings which emanate within the body. Feeling and feelings are one of the many great and important components of human beings. What would life be without the sensations and energy that comes from feelings that we experience from within our physical body? Feelings are not bad and we aught to be thankful that we have them but they also come with some dangerous downsides that people have to learn to manage if they don’t want to live their lives in chaos, hurting themselves and those around them. Feelings change throughout our lives often for inexplicable reasons and without any basis in logic. We do not feel the same way today that we did when we were children and the ebb and tide of energy that arises from feelings must be managed if we don’t want to cause harm to ourselves or others. Feelings are also the root of selfishness which must be tamed and managed in order for people to reach their full potential and keep from being used by the consciousness of feeling itself. The human component of feelings are the lowest level of human consciousness similar animal instincts and are designed to be managed, governed and tempered by the brain and Spirit (or higher consciousness) if we don’t want to live like animals. Feelings are also often confused with the conscience, that “feeling” of what is right and wrong, but the conscience is actually a manifestation of consciousness that is higher than feelings and thinking and comes from the Spirit when it is not blocked out and over ridden by feelings or wrong thinking. The Spirit is that component of us that is the observer of our thinking and feeling and therefore able to see what is true even when our limited thinking and feeling are deceived. When a person has a healthy connection with their Spirit the Spirit can cause right action to be identified and executed in spite of our own fears and in spite of our own wrong thinking and feeling. Unfortunately many people live their entire lives never engaging with, never seeking to develop or connect with their Spirit. Because of the negative dogma of some religions many people reject all religions which typically come with their own rules that are designed specifically to tame thinking and feeling in order to connect with Spirit. Without consciously engaging with their Spiritual development in any way many people live their entire lives dominated by every whim of their ever changing, temporal and limited thinking and feeling alone. Sadly many people live their entire lives burred under and deceived by their limited thinking and feeling. Many people never know, use or experience the power of the Spirit that enables people to override their limited thinking and feeling and even permanently modify it in order to experience true prosperity and fulfillment that is available to us all without having to mutilate our bodies, live in fantasy of mind or impose our lifestyles on others by force. Feelings are very strong energies that are particularly vulnerable to manipulation and illusion and people who live dominated by their feelings believe that whatever you feel is how you should live your life. As a result they live their lives in an unpredictable whirlwind of highs, lows, relationships and rules that change whenever their feelings change, often chasing an illusive “feeling” of satisfaction that never seems to completely manifest. People who live dominated by feelings alone have not learned that “what feels good for you is not necessarily good for you.” People who live dominated by their feelings are not interested in objective reality or facts and they have no use for rules imposed upon them by government or religion that are designed to protect them from themselves and the selfish destructive nature of lives dominated by feeling alone. People dominated by their feelings are not governable and believe in using force whenever necessary to protect themselves from others who they often believe are the source of all of the problems in their own lives. For people who live by feeling alone it feels much easier to blame others for their circumstance than to take responsibility for their own lives which would require them to do work which does not feel good in order to overcome circumstance. Because of the technology of communications aided by social media, the human race is increasingly acting as one organism, even connected to each others thought in real time through the internet. Like one big human being, complete with feeling (body), thinking (analysis) and Spirit (that which is unseen). And as a one big creature we are now witness to the classic fight that takes place within every person at some point in their lives when the consciousness of feeling (the body) wrestles with reason (the mind), in order to maintain dominance and avoid evolution for fear of losing control and perhaps dying. In most individuals this fight occurs later in life as the physical body (feeling) loses dominance and gives way to reason (the brain, thinking) due to aging or as a result of life experience. For some lucky people the relationship between body, mind and spirit is mastered earlier in life. The understanding and usage of the relationship between body, mind and Spirit is referred to as enlightenment and results in the ability to truly utilize free will where decisions are calculated and executed rather than being manipulated by misleading feeling and thinking alone. This brings us back to the the consciousness of feeling which only knows one thing, it wants to feel good. I believe that today the collective of the human race is in a dangerous struggle to transcend the lower consciousness level of feeling in order to reach a higher level that will transform humanity for the better if we can survive the struggle. It is hard to predict if the human race will make this leap in consciousness because feeling is with out reason and it is strong and it will fight even to the death of its host if it believes it is threatened as evidenced by the riots, lawlessness and “resistance” to any form of governance and self discipline that we see today in our culture. Feeling (the body) has no regard for how it gets to “feel good” and is happy to feel good even at the expense of others and even causing harm or death to others if necessary in order to feel good. I do not believe that gender confusion brings life to anyone. Studies show that those who mutilate themselves in order to live in an alternative reality are never fulfilled. Fulfillment comes from within ourselves from our ability to decide to be fulfilled. Fulfillment can never truly be realized through manipulating the physical world outside of us but rather it is attained from within and does not depend on geography or form. I believe that tinkering with our genetics and other technology before we are fully aware of all of the ramifications can also lead to our own destruction. I believe that the popularity of these concepts are a byproducts of the disease of the mind that is lead exclusively by the selfish nature of the “feeling” component that dominates many in our culture today. Reason and careful consideration of potential and unpredictable consequences are abandon for the feel good moment that can be perceived right now and that will fade as quickly as it came in the first place. These new modalities of confusion are only byproducts of the fight between the levels of human consciousness. The question is… who will win this classic fight? If feeling alone wins then the human race will self implode and human beings will be ‘dis-integrated’ which is representative of the culture of the mainstream that fights for relevance and promotes chaos. Unless there is an intervention of some kind by a higher being, God, then I believe the human race as we know it will soon become extinct. The Holy Spirit is a Christian concept that is the manifestation of thinking and behavior which brings life that leverages the totality of the human being rather than feeling alone and by itself. The human race could really use the Holy Spirit now. By Eric Majors, Click Here to help support the Eric Majors Show! With FBI Directors like Comey who needs the Russians to destroy our country or manipulate the President? If you were the President of ANYTHING would want Comey on your team? Instead of communicating with you and helping to keep you out of trouble he would secretly question your motives and take secret memos of your meetings when he thinks that you might be asking him to do something wrong then leak as much as possible to the press to try to get you arrested if you fire him. What kind of employee does that to his boss, the President of the USA after telling the President that he would always be honest with him? Comey and other swamp creatures like him want the President to fail no matter how much it hurts our country, the citizens and all the people that voted for Trump. Comey is an incompetent employee in particular as a communicator, team member and a lawyer. He would be a liability to any President or boss in authority over him. His failures have damaged both political parties and who knows how many others. If Comey is representative of the type of people that we have running the government then it’s no wonder everything is upside down. If you are considering hiring Comey for any job, the consider that it’s the difference between haivng an employee working to help support his boss or working to destroy his boss by creating the perception of impropriety based on vague conversations and unconfirmed presumptions of bad intention if Comey doesn’t like you. For example, if Comey didn’t like Trump and suspected Trump of bad character he should have resigned rather than plotting against him behind his back then leaking vague possibilities to the press to cause further damage. In my opinion Comey’s actions raise to the level of sedition. Obviously Trump read that Comey was not loyal and fired him. Loyalty in the cesspool of politics means, “help support me, keep me informed and protect me from myself when necessary and help protect me from negative press that all my enemies seek to create to use to advertise against me.” Comey did just the opposite. Comey stated that he would be honest with the President. By making secret notes and not sharing his concerns about his relationship directly with the President he was not being his own word, he was acting secretly against the President when he assured the President he would be honest. According to the Constitution of the USA Trump is THE top law enforcement official in the USA and has the authority to halt any investigation without needing any specific reason at any time, in the same way a prosecutor might decide not to prosecute. Not withstanding, Trump gave no specific order of any kind but is now accused of being suspected of giving an order and accused of having suspecious intentions about the possible order that he did not give but somehow had hoped to maybe give in the future? To expect law enforcement officials like Trump not to discuss the merits and their opinions of the cases is impractical because those discussions happen every day and previous U.S. Presidents have publicly and privately stopped many investigations in the past or given pardons. A person of the caliber of the Director of the FBI is expected to support his boss and inform him when he suspects his boss is not acting properly, not attempt to build a dossier against him or hire someone else to do it for him as Comey attempted to do. As part of his office Comey had a responsibility to clarify (by speaking) with Trump to openly determine what his real intentions are and then share with Trump (warn his boss) if Comey believed that Trump is overstepping his authority and/or such meetings are inappropriate. Comey had a responsibility to inform Trump that Comey would have to report any such meetings or request to the Department of Justice. But instead, Comey kept a secret payback file and pretended to be scared and intimidated by Trump. Instead of initiating an investigation while Comey was Director of the FBI, he gave Trump Comey waited until after he was fired by Trump to use an unorthodox proceedure of leaking information from his government files to the press in order to attempt to have a special council appointed after he previously decided not to ask for a special council in the first place as he was required by law to do if he felt there was impropriety. The question is, would you want someone like Comey working for you who would not be completely open and honest with you but rather attempt to build a case against you? No President of any country or business could be successful under those conditions. Trump has so many swamp creatures like Comey surrounding him that we don’t need Russia to bring down the Presidency, we already have the Judas’s from within that will not even allow the President to do the things that at least 50% of the people of this country voted for him to do. To raise awareness for the charity WriteAwayFoundation.Org, Eric Majors spoke on Accessing Your Power at a lunch and networking event live at the Bone Fish Grill in Pensacola, Florida on Thursday, April 21. The event was Simulcast live online and a recorded version is available for subscription. Click here to subscribe to view the recorded simulcast. Click Here to view or download the official flyer. Extensive Q&A on Dot Money. Click here. 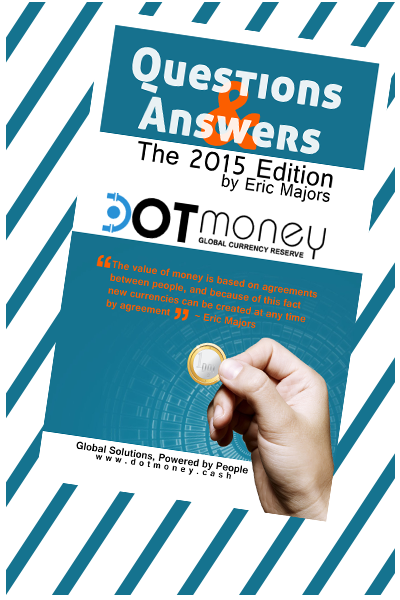 Dot Money is a new and revolutionary kind of global community currency that incorporates the technology of virtual currencies and adds many new features that enable it to be used with or without computers or the internet. The design and purpose of Dot Money is to introduce a new age of economic prosperity and stability throughout the world and solve some of the most important problems facing the world today, including ending poverty. The Global Currency Reserve (GCR) is the international administrator and primary market maker of Dot Money. 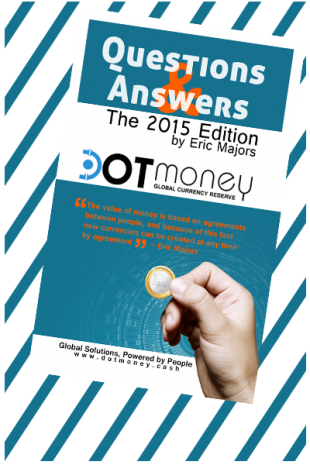 The book “Dot Money, The Global Currency Reserve, Questions & Answers” is designed to enable the reader to become familiar with the purposes and functions of Dot Money and the Global Currency Reserve (GCR). 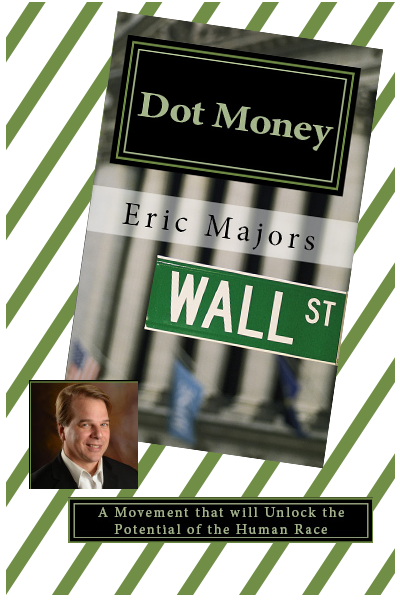 This book is designed to be accompanied by the 2014 book “Dot Money” by Eric Majors. Dot Money may be the most important book of our time. Get this inspiring book now. Click here. 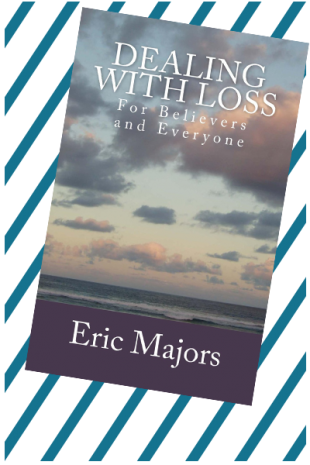 Dealing with loss is book that is written from the perspective of a Christian who has studied all major religions and psychology. This book is valuable for people of all faiths, and even those who do not believe in God. 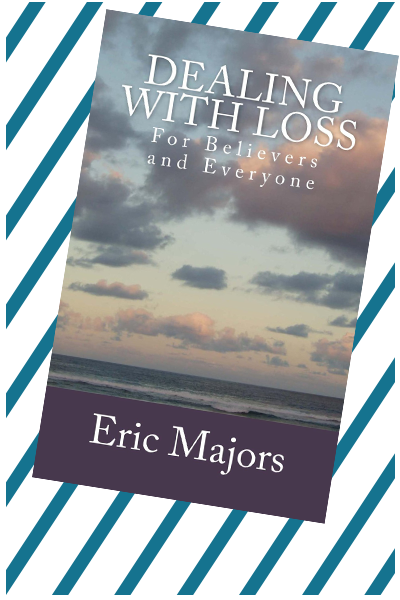 The author, Eric Majors, knows about suffering and loss, and about how to regain and maintain peace and joy under difficult circumstances. He knows as a result of the extraordinary challenges and difficult experiences he and his family have struggled with. Dig into the psychology of Stocks, Bonds, Futures, Forex and Options. Get the eBook here, or get a paperback copy here. 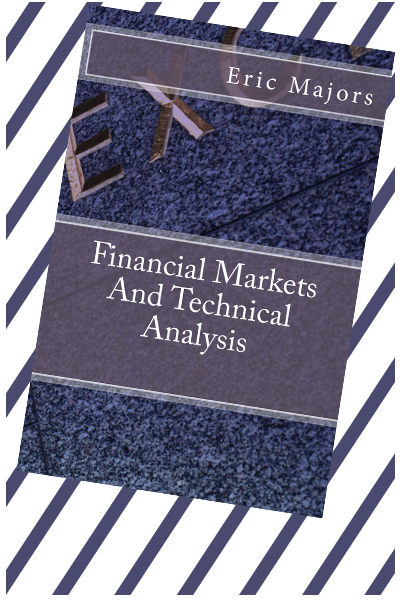 This is a two part book: Part one is designed as an introduction to the major financial markets with practical advice for those who would also like to start trading or investing and have little or no knowledge of the financial markets. Stocks, Bonds, Futures, Forex and Options are discussed as well as the psychology around trading. 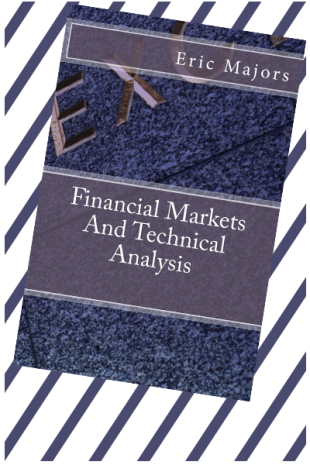 The second part of this book provides an introduction to the basic technical financial market indicators. This book speaks candidly about automated trading systems and money managers and is essential for anyone who wants to understand what investing is all about. 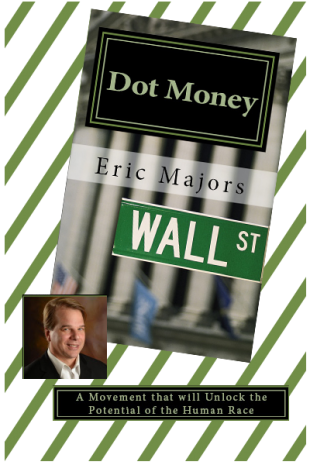 The author Eric Majors is a financial market analyst with a Bachelors of Science in Electrical Engineering from the University of Colorado. Mr. Majors is a former U.S. Registered Investment Adviser and Firm owner who served as an officer and director of numerous publicly traded companies and as a principal of an international investment banking firm. He is the inventor of Trade Series Management Theory and the associated TSM financial market software system. Mr. Majors is a certified Consciousness Coach, business adviser, speaker, teacher and author.